Sing It Loud with Lah-Lah's latest CD and a live concert tour! Sing It Loud with Lah-Lah’s latest CD and a live concert tour! We are a music loving household. Even down to my 11-month-old son. In less than a year we have become fluent in all things children’s music and we’ve discovered it’s not all created equal. 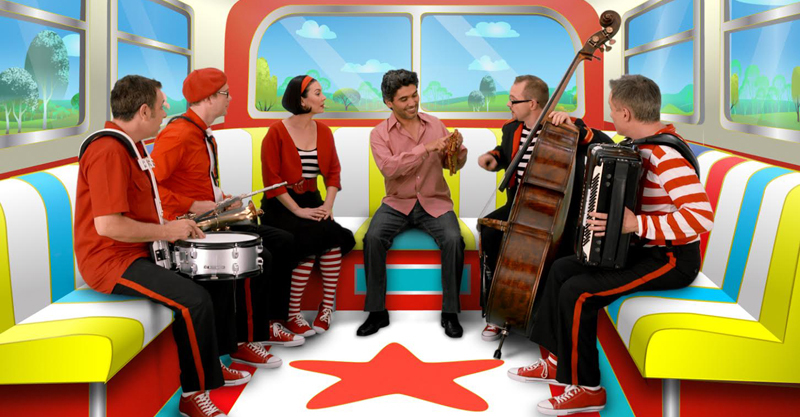 Lah-Lah’s Big Live Band enter our house every day via ABC Kids and have fast become a favourite. And now Lah-Lah and the gang are about to take their show on the road! when you’re in a really fast race. The Belly Button Ballroom is a tango-inspired track that has a great dancing beat to get you moving around the living room. There’s No Place Like Home is a calm, melodic song that helped my baby drift off to a sweet slumber. For older kids, Clickety Clack will help settle seat belt arguments in the car – “Buckle up when you’re in the car, clickety clickety, click clack”. “Friendship will get you through, when times of strife keep following you. Friendship, Friendship, all you ever need is friendship. Overall, Sing It Loud! is a really fun, upbeat album and a happy addition to our collection of tunes. Sing It Loud! is available on digital download for $12.99 or in CD format for $14.99. A DVD, Lah-Lah’s Adventures – Brand New Day, is also available. If your little Lah-Lah fans can’t get enough, they can sing and dance along with Lah-Lah and her Big Live Band in person when they tour their award winning show across NSW, Victoria, Queensland and Canberra from 28 June, 2015. There’s even a chance to meet Lah-Lah after the show! You can find all the dates and locations, plus book your tickets over at Lah-Lah‘s own website or via their Facebook page.